Our inner '90s kids are SCREAMING in joy! It's going to be a huge year for Disney. Between Avengers: Endgame, the ninth episode of Star Wars, and the many live-action adaptations of their nostalgic films (like Aladdin and Maleficent: Mistress of Evil), the entertainment powerhourse is set to completely dominate the movie industry in 2019. And among the anticipated titles for this year (and the one we're probs most excited about) is a remake of one of our childhood favorites: The Lion King. A new trailer for the movie was just released today, and the hearts of many diehard fans of the original animated version from 1994 will surely be swelling. 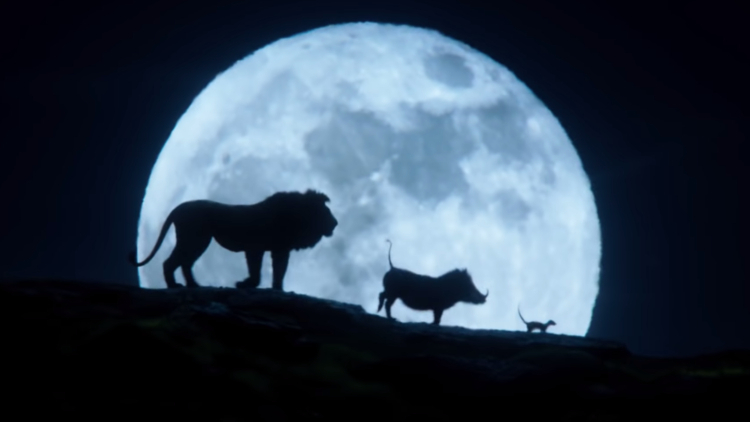 We finally get to hear some of the voices of the cast (including Chiwetel Ejiofor as Scar and James Earl Jones reprising his iconic role of Mufasa) and we even get to hear a snippet of Timon (Billy Eichner) and Pumbaa (Seth Rogen) singing "The Lion Sleeps Tonight." The only question we have left is: WHEN ARE WE GOING TO FINALLY HEAR BEYONCÉ?!?! The Lion King hits theaters this summer on July 19! Watch the new trailer below!